as a DC Circulator electric bus turns pink. Once a year we release a specially wrapped pink bus into our fleet of 72 vehicles, in celebration of the annual Cherry Blossom Festival. What makes the bus so special? Well, it’s the only bus in DC that is completely pink and adorned with flowers, and not to mention, this year’s bus features hand-crafted artwork by local middle school students. 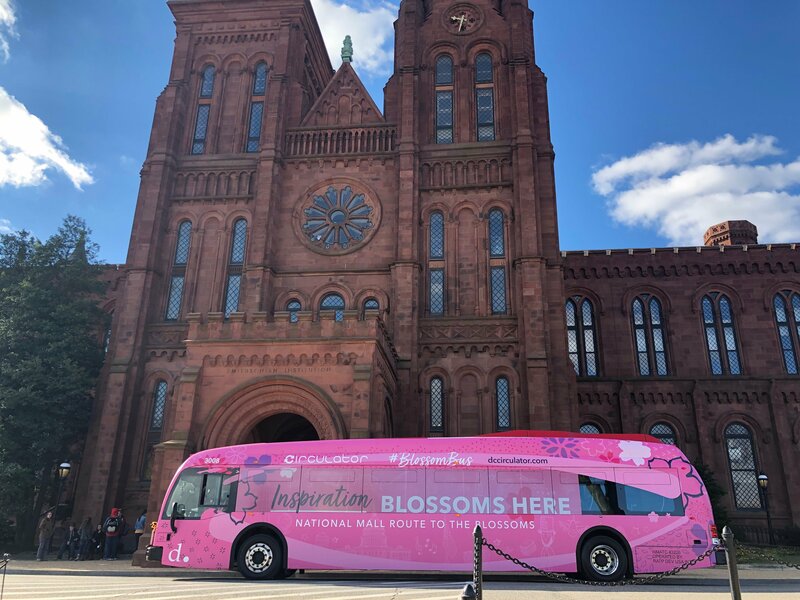 Consider the #BlossomBus a spring-themed art gallery on wheels, serving as a reminder that the DC Circulator is your ONLY public transportation option directly to the Cherry Blossoms.